Flowering Date: Early summer to mid fall. Flowering DateEarly summer to mid fall. Planting InstructionsPrefers well-drained, fertile soil in full sun. Flower FormFlower spikes with long tubular blooms. 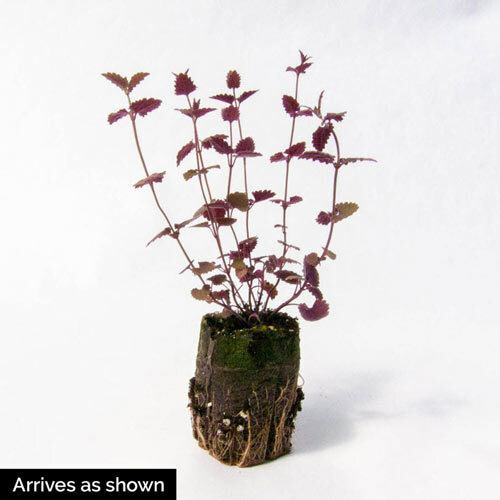 Foliage TypeLance-shaped to ovate, grayish green leaves with a light mint scent. PruningCan self seed, so if you do not want it to spread too much, remove spent flower stems. After flowering. 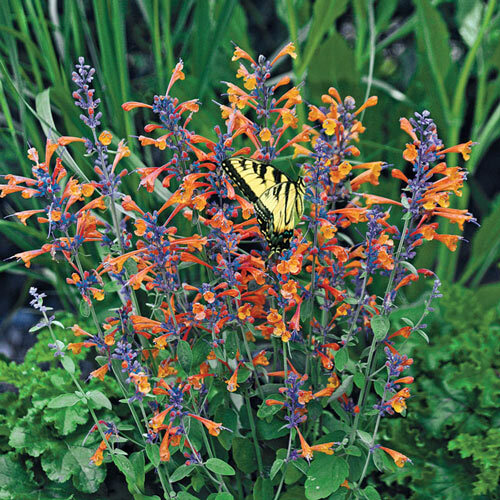 Additional InformationTango hummingbird mint helps lure birds and butterflies to your yard. Unique CharactersticsYou'll love the charming bicolored flowery spikes of fiery orange and a hint of blue. And so will the hummingbirds, butterflies and honeybees it attracts. A distinctive addition for any border. Drought tolerant and easy to grow in any garden soil. 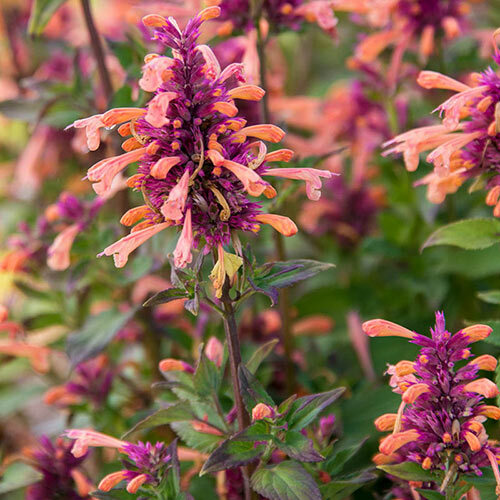 Plant in full sun and enjoy the blooms from midsummer to fall.